N.W. 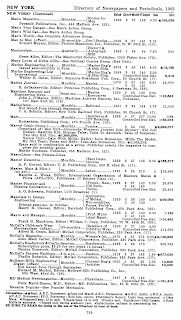 Ayer and Son's American Newspaper Annual and Directory was a directory to US newspapers and periodicals, arranged by state and city, published in the late 19th and 20th centuries. It was first published in 1880 and continued under the Ayer name until 1986. It really is just a directory listing and pretty dry material to sort through: names and addresses, founding date, circulation figures, etc. The reason you, the comic book fan, might be interested is because the listings include comic books publishers. A few corrections. 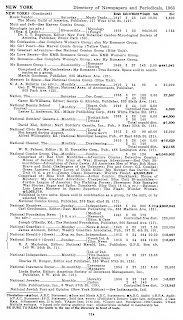 The Ayer Directories is a listing OF North American (includes Canada) newspapers and periodicals. It is mainly a directory for advertisers so they can determine where to promote their products. 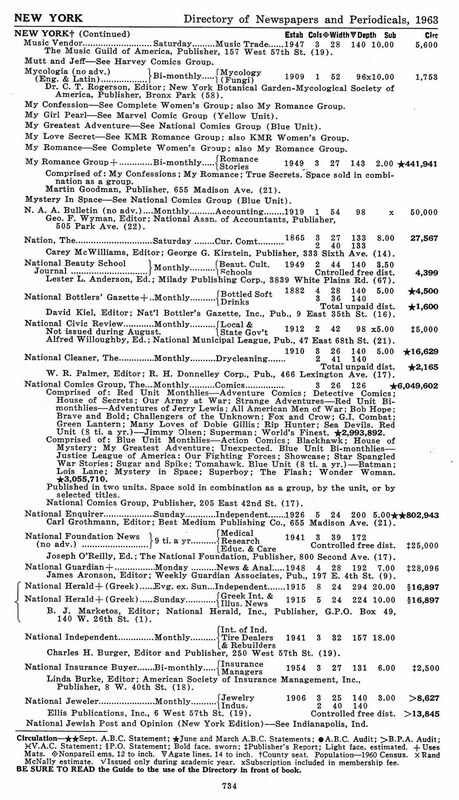 SOME of the circulation numbers can be suspect, but the legend at the bottom of each page helps you identify which ones. The starred circulation numbers are ABC (Audit Bureau of Circulation) numbers. That means they are audited by an outside organization that requires other proof like printers and distributor invoices to verify the numbers. They are about the most accurate we are going to get at this date. 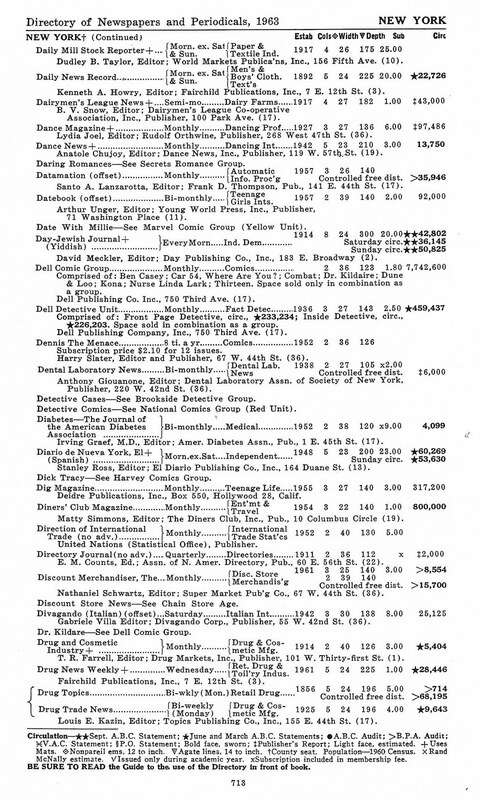 The reason why there are no superhero comics listed in the 1963 Marvel listing in this Ayer Directory is because of when the directory is being published. It comes out early in the year that it is dated. 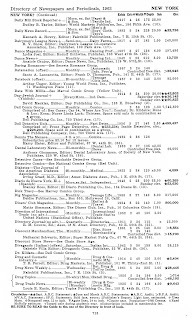 So this directory came out in early 1963 (March-Apr-May?). That means the collected data is from 1962 at the earliest. Note that the legend at the bottom of the pages says that the Marvel numbers are from "June and March ABC Statements" This means the ones that would appear in June or March of 1962! So the data is from before then as you know that those statement of ownerships that appear in the mags are dated months before the comic book cover date. 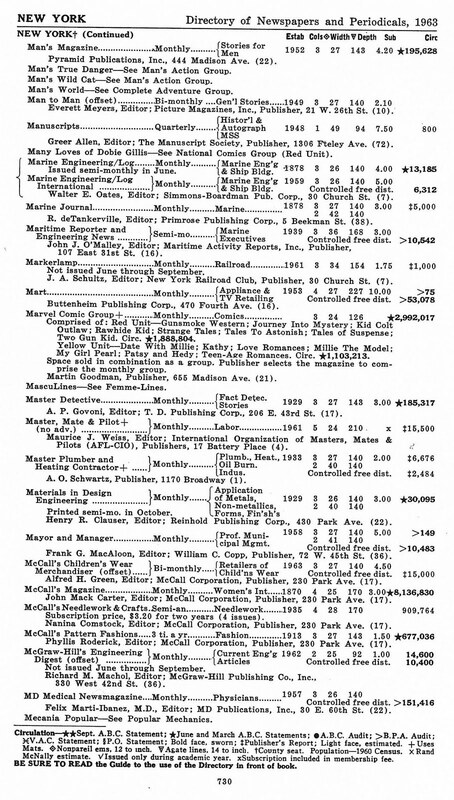 So FF #1 (cvr dated Nov. 1961, on sale a few months before) would not have had a years worth of circulation numbers that could be calculated to get an average. So it has nothing to do with them trying to hide from DC. And since (as you mention) Independent News was part of the same company, all DC would have to do is to ask their sister company. Independent News would know exactly what Marvel was selling. Ayer is also very late in reporting on new publications and has much misinformation. It sometimes is years after a new mag has started before it gets into Ayer. After all, if you are an advertiser, you are going to want to use proven publications to get your message out.